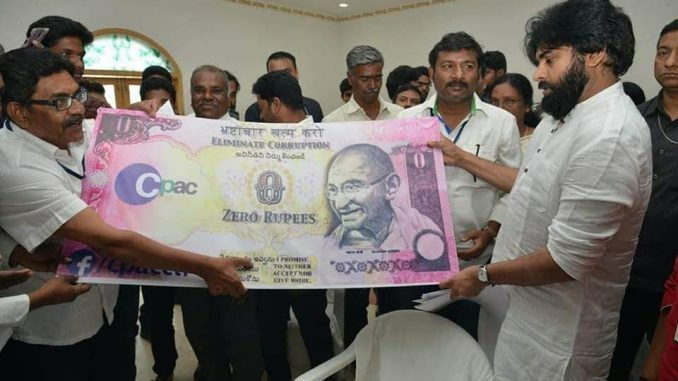 CPAC Volunteers present a zero rupee note (that is against official bribery) to Janasena Party chief Pawan Kalyan. Pics by CPAC team. “We want policies and schemes that are people centric, not nominal ones that our elected representatives decide,” say volunteers of Chittoor People’s Action Committee (CPAC). CPAC is a pro-active citizen movement and the voice of the people in Chittoor, a city crying out for basic amenities and infrastructure. CPAC has interacted with more than 5000 citizens from Chittoor, Gangadhara Nellore and Puthalapattu constituencies, to deliver a data-centric, in-depth citizens’ manifesto. The manifesto is the end product of various surveys and workshops such as Nenu Bharath Aithe (inspired from a political drama movie starring Mahesh Babu). The volunteers of CPAC met the MLA candidates in these three constituencies and presented the manifesto. 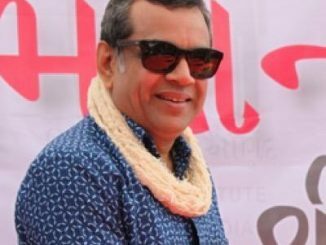 At a time when all the contemporary political parties woo voters with cash, liquor and other freebies, there is a need for a comprehensive manifesto that gives a voice to the underbelly of society. Chittoor will be voting simultaneously for the state (Andhra Pradesh) Assembly and the Lok Sabha, and this is what they plan to push their MLAs and MPs to achieve. Free quality school education for every kid. The AP government spends over Rs 60,000 per head per year on school education, but it is not yielding fruit. In a survey conducted by CPAC only 22% of students have expressed confidence that they can secure a job with their studies. Government should allocate adequate space and provide facilities like playground, laboratory, library for this Education Park so that educationalists/aspirant educationalists and those who run small schools/colleges can utilize these shared facilities/infrastructure, while they concentrate on quality of education rather than worry about capital expenses too much time or money on the infrastructure. The space allocated should be at least 5 acres with all the basic infrastructure and it shall be well connected to all areas with public transportation / free transportation. 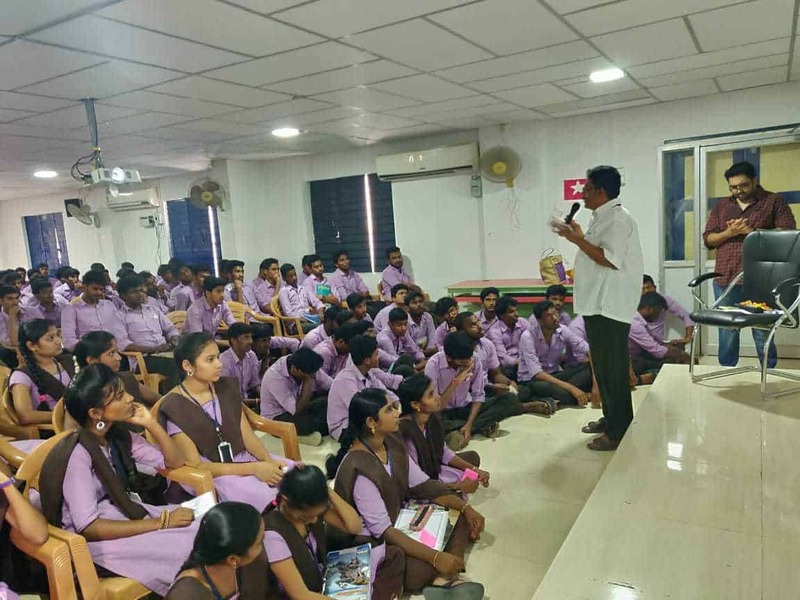 CPAC President Rambabu Ayyagari speaks to the students to know about their plights. CPAC Survey has revealed that 74 percent of students studying in Chittoor feel they have to migrate from Chittoor to get a job. This explains the absence of job opportunities in Chittoor. Here are a few measures that would create jobs for the youth. If co-op sugar factory restoration is not feasible, use the factory land to establish a Government Medical College or the Education Park that is proposed above. A recharge well for every panchayat, treating pond water, undoing the tanker mafia and digging recharge wells in government places are some pertinent demands. People also demand interlinking of ponds and setting up of a Lake Development Authority. To encourage people to plant trees in government places, ‘Tree Patta’ scheme can be introduced under which the ownership of the trees planted are shared in the ratio of 70:30 between citizens and the forest department. 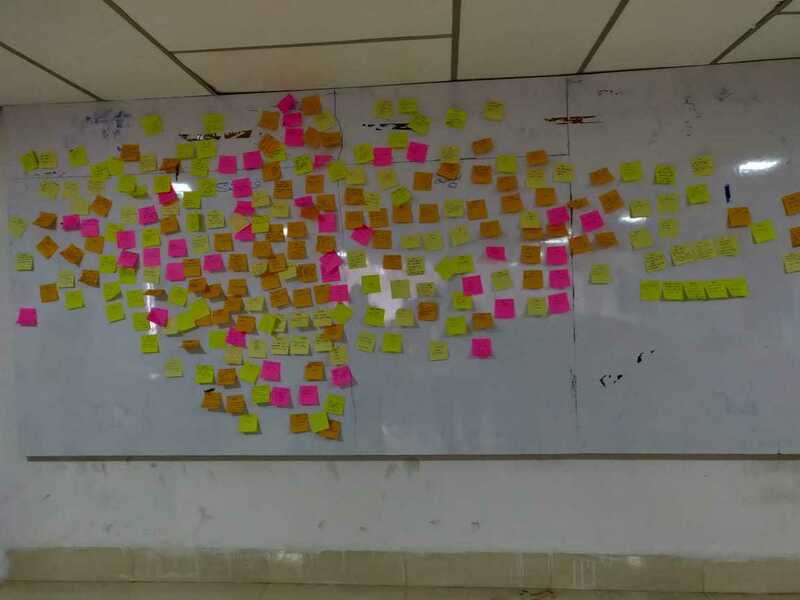 Citizens express their demands for the Chittoor city during Nenu Bharat Ithe workshop. Only philanthropists and religious leaders should be appointed as board members and trustees of religious organizations and temples. Set up Anna canteens every one 1 km. Police Stations currently depend on donations from private institutions for their maintenance. Grant every police station Rs 50000 every month to make them more independent. Eve teasing is on the rise in high schools and junior colleges, especially in rural areas. It is increasing the drop out ratio among girls. Install CCTVs in rural and urban education institutions and have these connected to a Command & Control Center for continuous monitoring. Chittoor people have been making sacrifices for the construction of the capital region. Almost all state level offices are being built in the capital. At the least, a High Court Bench should be established in Chittoor. National Health Profile 2018 states that a rural family spends an average of Rs 13,698 and an urban family spends Rs 28,092 on health. By appointing family doctors, reliable and quality medicine should be provided to the people without them having to spend a rupee. A de-addiction centres of international standards should be set up in Chittoor, and at least 10% of the alcohol sales (from the district) revenue should be diverted to the centre. It is disappointing that parties keep promising farm loan waivers when studies clearly show that they are of no help. However, by introducing a few policies, farmers can be helped. Increase the storage facilities and provide pledge loans with nominal interest rates; farmers shall have the option to store when the market price isn’t fair. Set up a large scale Price Stabilisation Fund and remove middlemenfrom retail chains. While farmers all around the nation lost around Rs 1,40,000 crore because of the increase in imports, in the state the prices of iron, pulses and lentils have fallen heavily over the past two years. It’s high time government works on ways to increase the profit for farmers instead of just providing farm loan waivers. Panchayati office should make provisions for farmer to sell their crops from villages. Information on crops and produce shall be available in every panchayat office and put online if possible. This allows users to buy directly from farmers. Handri Neeva works must be completed immediately and net share of water should be allocated, as only the excess water is being shared now. There should be a rainwater harvesting pit for every 10 acres and a recharge well for every village. To include Revenue, Irrigation, R&B, Forest, Local governments (Chittoor Corporation and other Panchayats), Health, Education (Primary to University), Police (Criminal Control & Traffic), Pollution Control (APPCB), Agriculture, Horticulture, Marketing, Finance, Urban Planning and other departments in Chittoor Urban Development Authority (ChUDA), Andhra Pradesh Urban Development Authorities Act should be amended. ChUDA president shall not be nominated. 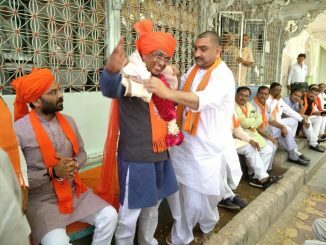 He shall be elected by the sarpanch, ward members & MLAs instead. ChUDA shall become the Smart Urban Development Authority by including villages for comprehensive development with the concept of connected villages. With the current MPs strength in Andhra Pradesh, it will be difficult to push for Special Status for the state, with other states opposing it. Elected representatives should push for special status for 100 backward districts in the country. It is a win-win strategy because that will include seven districts of Rayalaseema & North Andhra, besides giving a chance to many backward districts in other parts of the country. Chances of getting a nod in parliament are high for the strategy.